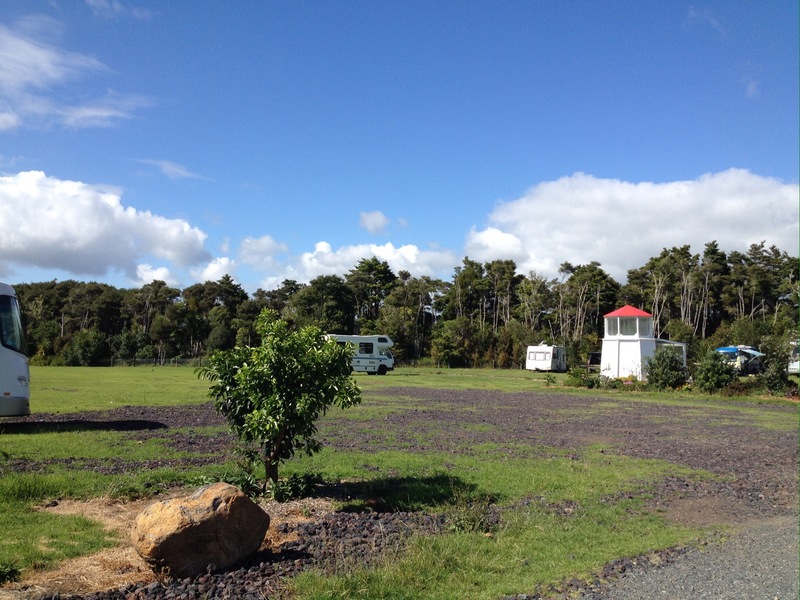 We had just one night stay in Kerikeri after leaving Kaitaia, and we ended up at the NZMCA site at Rainbow Falls as our usual parking place is now no longer available. It was our first stay at Rainbow Falls as previously the site has been too wet and boggy for us to stay but recently some of the grounds have had a scoria base applied. Parked up on a firm base. 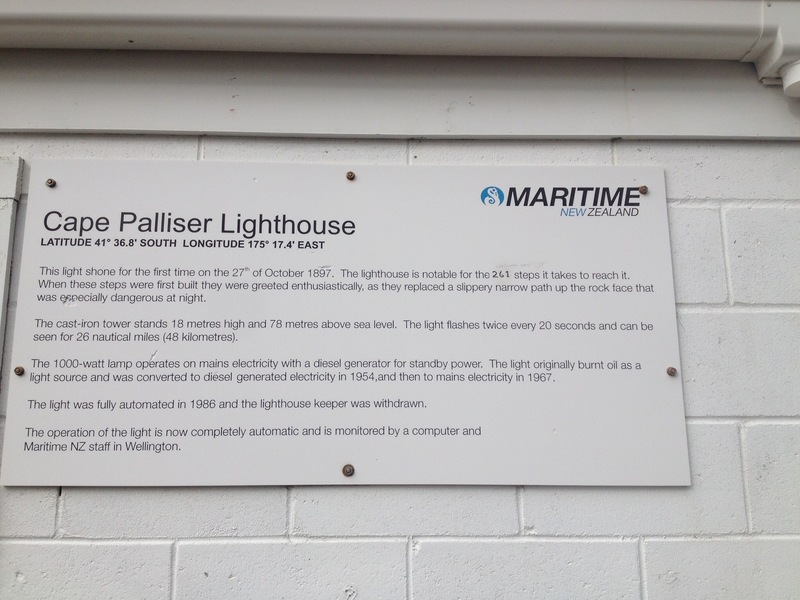 In the middle of the parking area, the local committee built the shed as a replica of the Cape Reinga lighthouse. 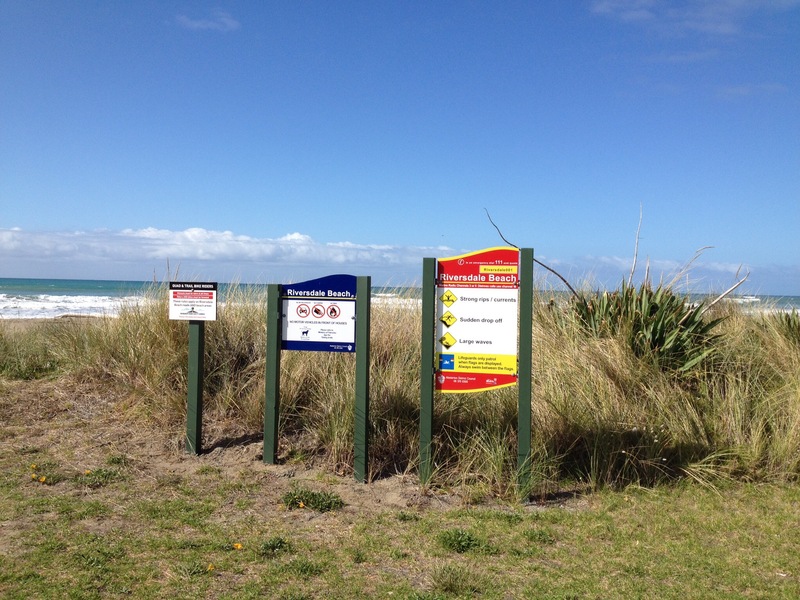 Most NZMCA parks have a small shed where you sign in, collect information about the surrounding area and where there is often a book & magazine exchange. Here at Kerikeri they have also undertaken planting of citrus trees along the boundary fence lines, which is a great idea for members. There is a lovely herb garden around the lighthouse where I must admit I gathered a good handful of parsley and mint rather than raid my own supplies. Roy caught up with Stuart for the afternoon whilst I used up some of our Internet data! 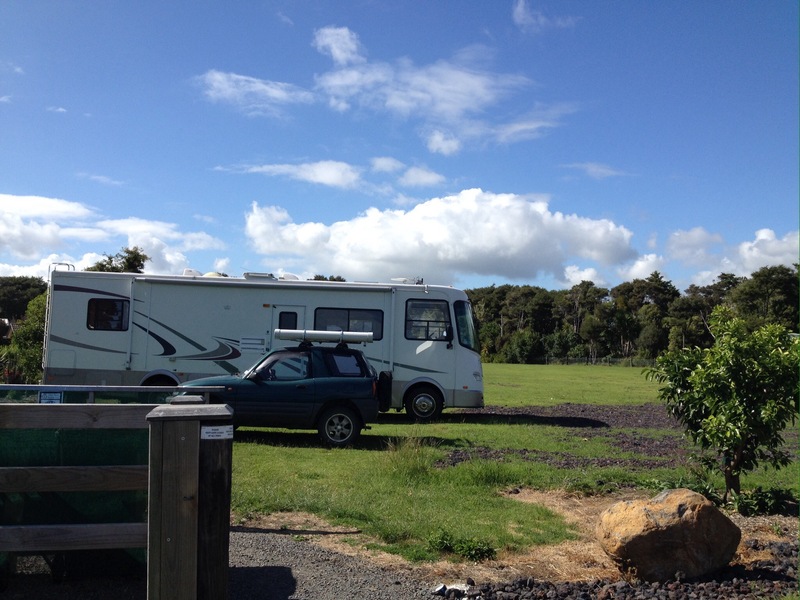 From Kerikeri we headed for Uretiti DoC camp just south of Whangarei, where we met up with Pat & Sue as well as a few other motorhoming friends – Brian & Marj, Craig & Glennis, Jo to name a few. Parked up at Uretiti where the grass has already browned off. The long white sandy beach is just behind the van over the sand dunes. Jacky & Chris came to visit and it was great to catch up with them before we get settled in around Shakespear and the greater Auckland region and before the silly season kicks into effect. We tried a couple of times to go fishing off the beach but the wind decided not to play and seemed not to go the right way for us, so the fishing gear has been put away ready to be brought out at a later date. Meanwhile we have plenty of fish in the freezer to keep us going for a while. On Sunday we had a very nice farewell champagne breakfast with Pat & Sue before they left on their odyssey south. After travelling together for nearly 6 months it seems a little strange not to have them around, but it’s testament to a good friendship that after all that time together we are still good friends and we look forward to meeting up with them again next year. 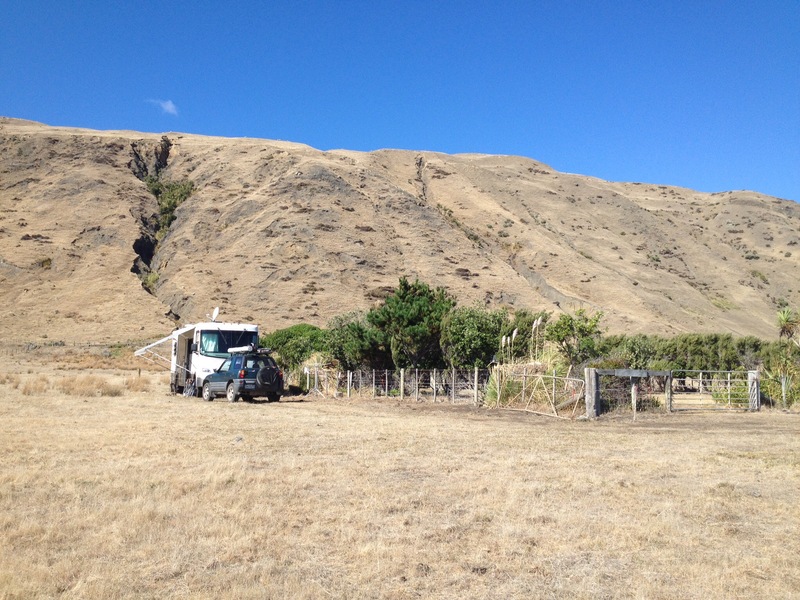 We headed to Masterton for a few days to restock, refuel and refresh. Whilst we are based here we thought we should do a little more exploring in the car particularly as we are not sure what the roads are like and when you are 10m in length plus towing a car which is around 14m all up, it makes it difficult to get ourselves out of tight narrow roads especially when you meet oncoming traffic. Besides, I do not need that sort of excitement in my life! 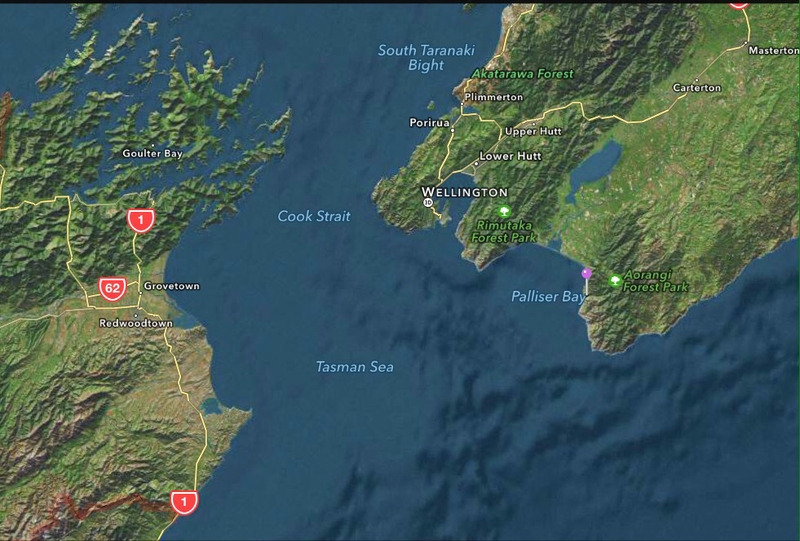 So off we went heading to Castlepoint. The countryside was picturesque with rolling hills, farmland and forestry are the main activities of land use. 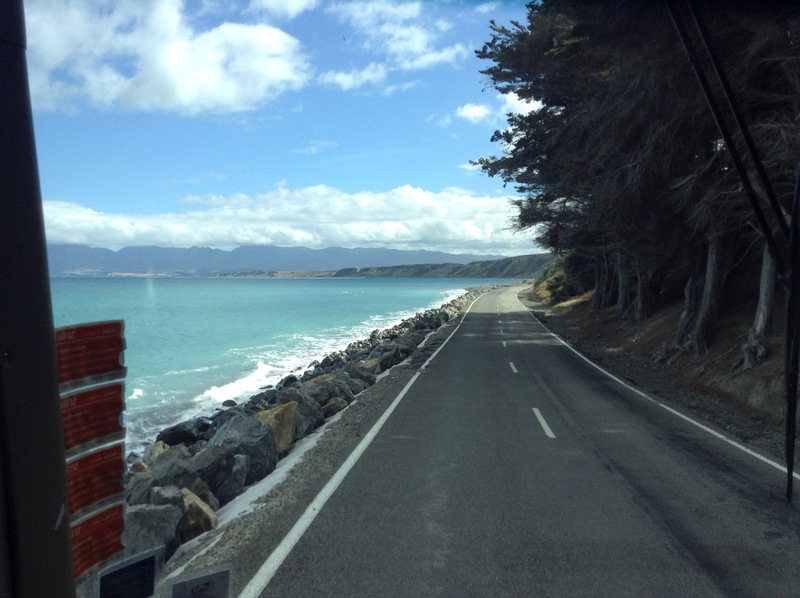 We were about halfway on our journey when there was a diversion ahead, we had to detour through Whareama to get to Castlepoint, we are not sure of the reason for the detour but detour we did, over windy narrow roads. We’re not to far from Riversdale we summised, so why not go and check out what is there. It turns out to be a lovely beach, obviously a summer destination as there is a rather large surf club on the beach. 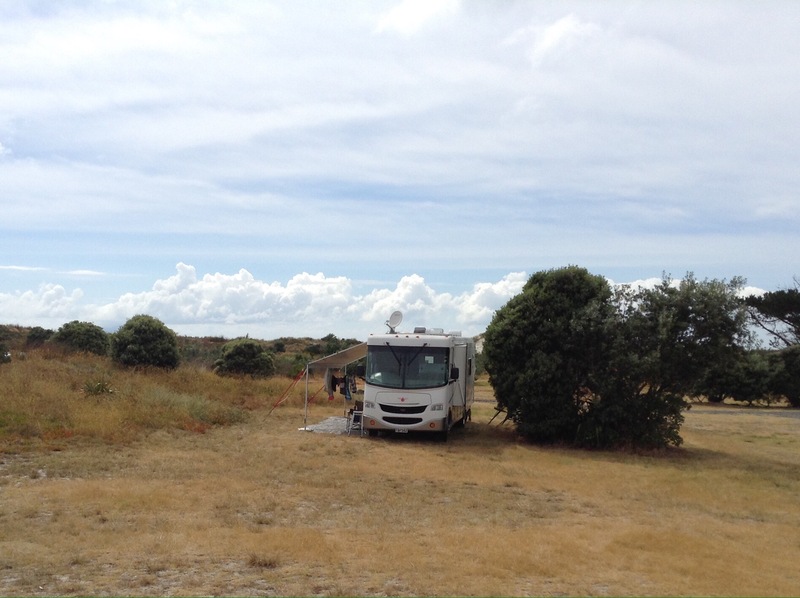 Unfortunately there is no motorhome parking in Riversdale, a shame really as it is a rather nice beach and I am sure that motorhomes would add to the local economy. 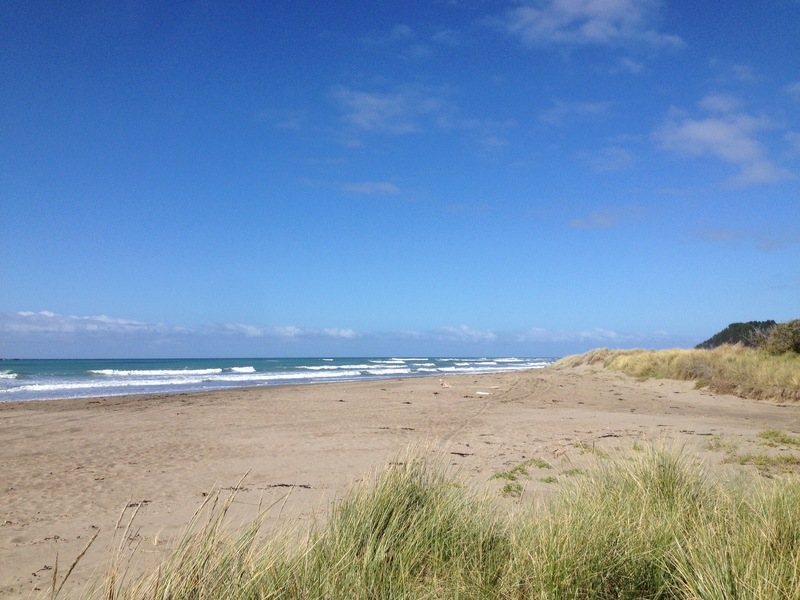 Riversdale is apparently one of the longest beaches in the Wairarapa and is also known for having a year-round surf. 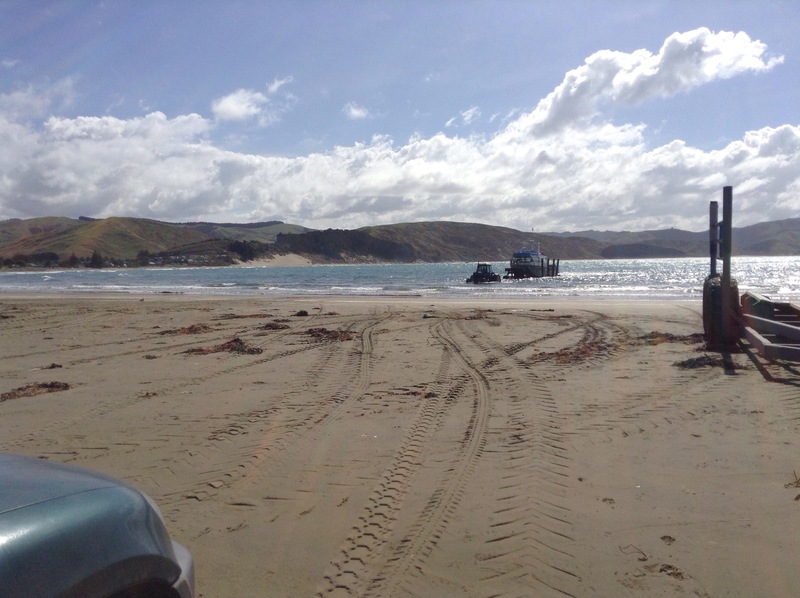 After a wander on the beach and a drive around the small settlement, we then headed over the hills to Castlepoint. 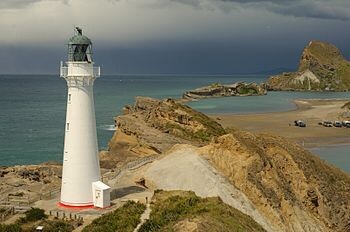 Castlepoint is a fishing village and is home to a lighthouse which stands near the top of the northern end of a reef. The reef is about one kilometer long. At the southern end of the reef, there is an island known locally as “seagull island”, due to its large population of seagulls. The southern side of Castle Rock is known as Christmas Bay. 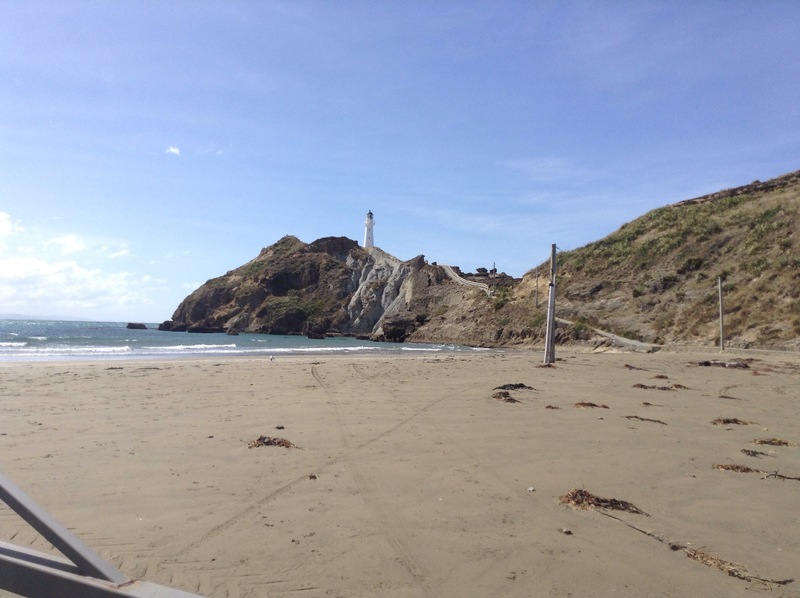 Castlepoint was so named in 1770 by Captain Cook who was struck by the similarities of Castle Rock to the battlements of a castle. 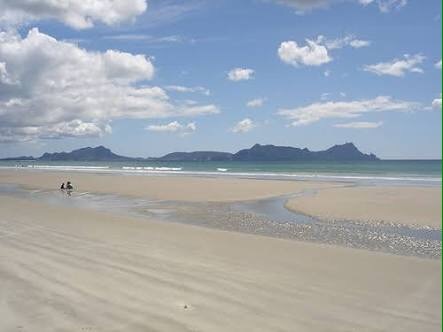 The Maori name for the area is Rangiwhakaoma, which translates as ‘where the sky runs’. We headed to the local pub for a bite to eat before heading on home. 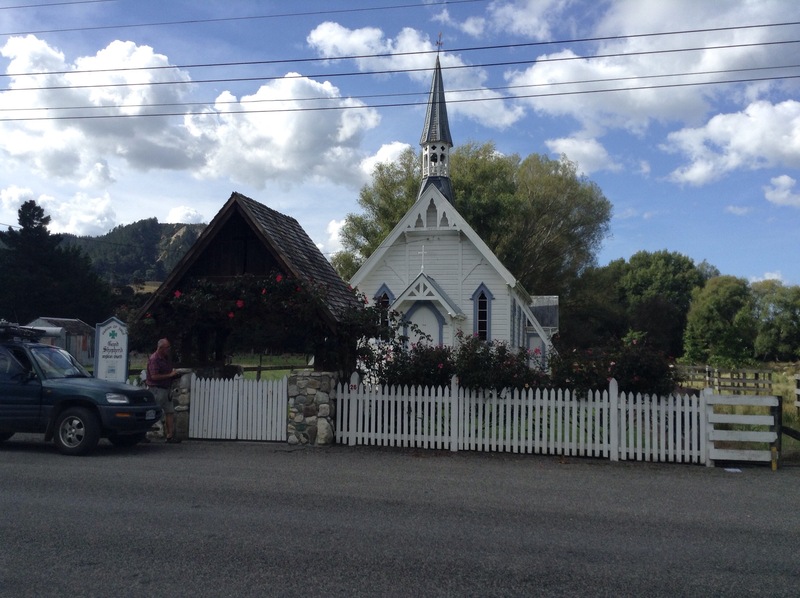 On our return journey to Masterton, we stopped off in Tinui, a very small settlement famous for being the first place that held an Anzac service. Tinui was the first place in New Zealand to have an ANZAC Day cross: the vicar led an expedition to place a large metal cross on the Tinui Taipos, a 360 m (1200 ft) high large promontory behind the village, on 25 April 1916 to commemorate the dead, when a service was held. The ceremony took place in this tiny church in April 1916, the cross is on the horizon to the left of the portico and to the right of the tall trees…..I know, impossible to see but I can assure you it is there. Back to Masterton where we are parked, this time the direct route was taken as the diversion had ended, then we had nquick trip down to Featherstone to have dinner with friends Garrick & Marguerite at a lovely local restaurant called Everest. We can highly recommend it for a good place to eat, friendly service and with delicious wood fired pizzas made for a lovely evening out. We arrived in Ngawi before Easter and planned to spend about a week there at a PoP (Park over Place) just before Ngawi itself. The PoP is owned by friends of Pat & Steve and is a lovley private and quiet spot which we really appreciated especially when we saw the number of people camped/parked at the free camp spots at Ngawi. 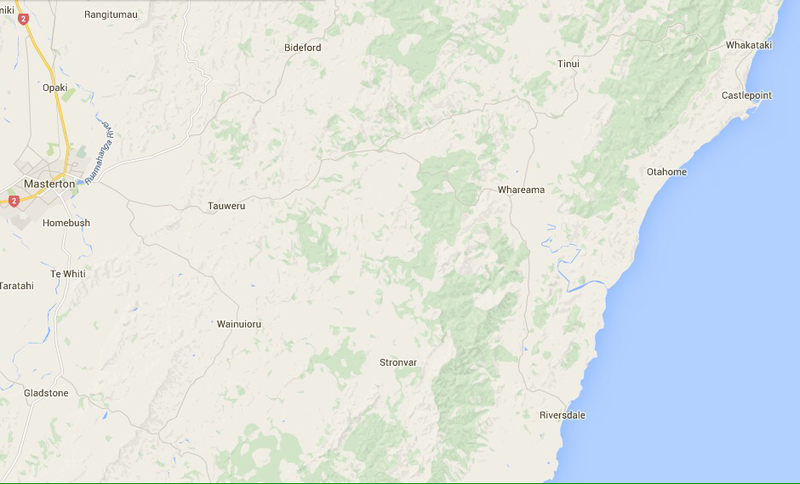 It is an ‘interesting’ drive in to Ngawi, I’ll let the pictures tell that story at the end of this post. We parked ourselves beside a shelter belt to protect ourselves from the forecast SW winds, but of course you know what happened don’t you? Yep, we had every wind from every direction with only one day of the forecast SW winds! 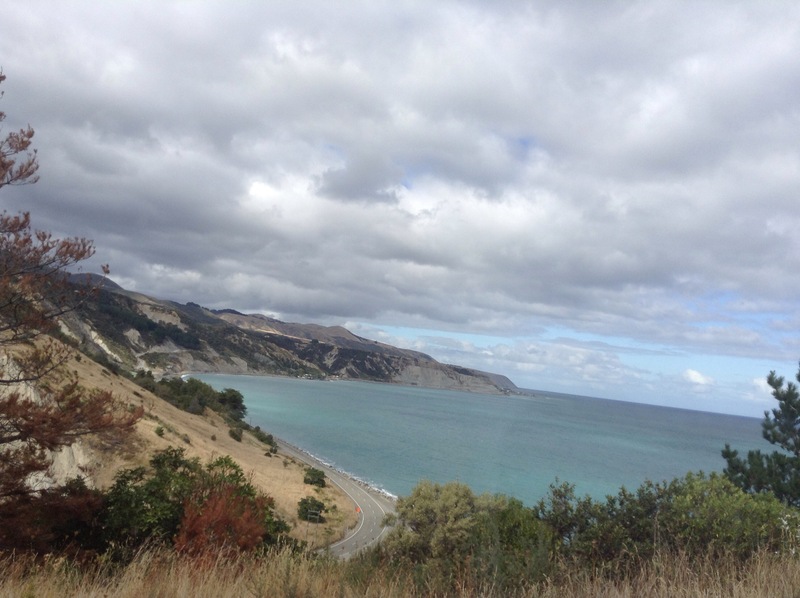 We took the opportunity whilst basing ourselves in Ngawi to explore the surrounding area, first of all was a trip into Ngawi itself then along the 5km of road to Cape Palliser. Ngawi is a fishing village, where the predominant catch is Paua and Crayfish. It is also reknown as have the highest number of bulldozers per capita. You can see in the above photo that there is a step ladder/ramp from the boat to the bulldozer over the very long draw bar. We watched the boat being launched, then the bulldozer and trailer positioned so that the bulldozer was out of reach of the tide but the trailer was still in the water, the driver walked up the ladder, carefully climbed along the side of the trailer to then leap onto the boat as it carefully manoeuvred itself toward the trailer on the incoming waves. It was all very well orchestrated and timed. 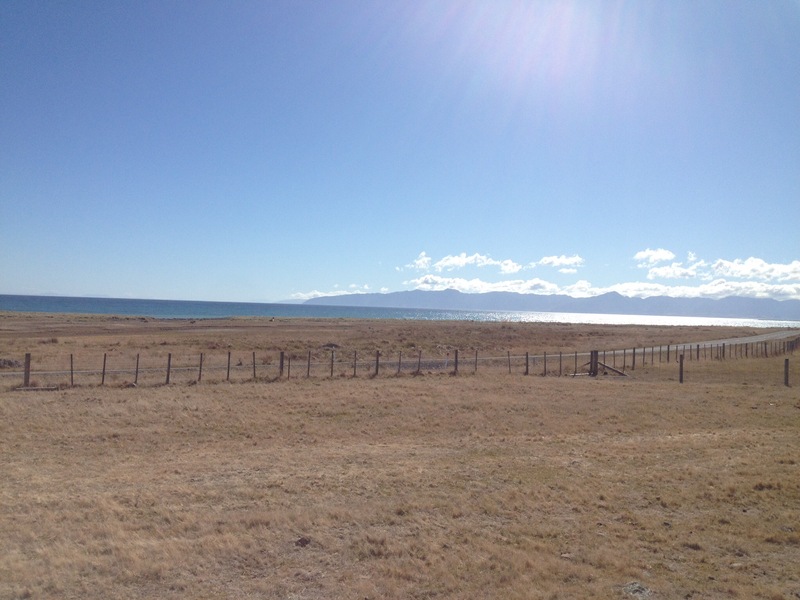 From here we went to Cape Palliser. 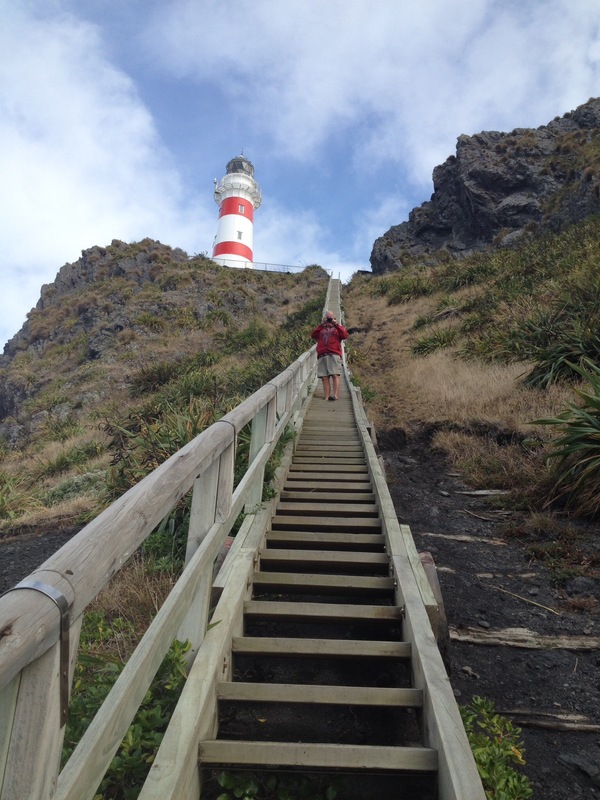 Cape Palliser is the southernmost point on the North Island and lies further south than Nelson and Blenheim in the South Island. 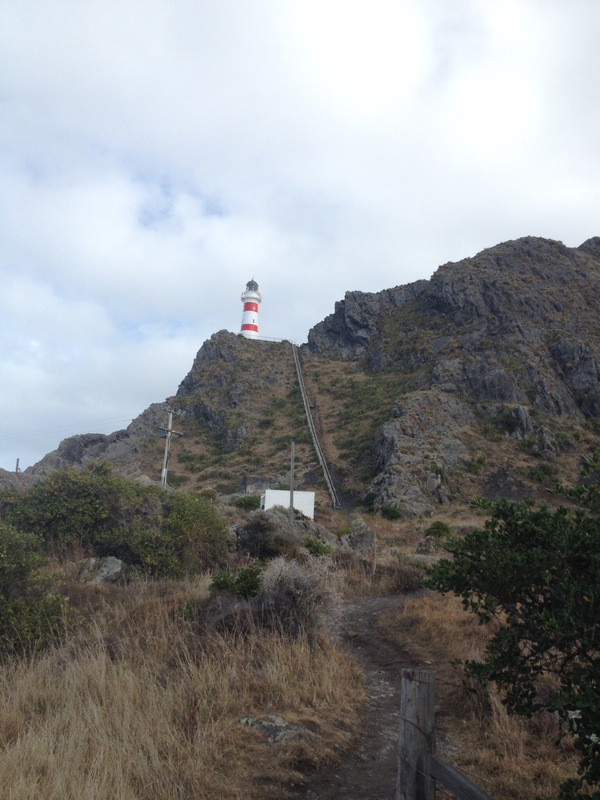 Cape Palliser was named by Captain James Cook in honour of ‘his worthy friend’ Admiral Sir Hugh Palliser of the British Royal Navy. They say there are 261 steps to the top, and I will have to take their word for it as I lost count about half way up and I was not going to start again and I was concentrating too hard on getting down again with my dodgy knees to think about counting as well. 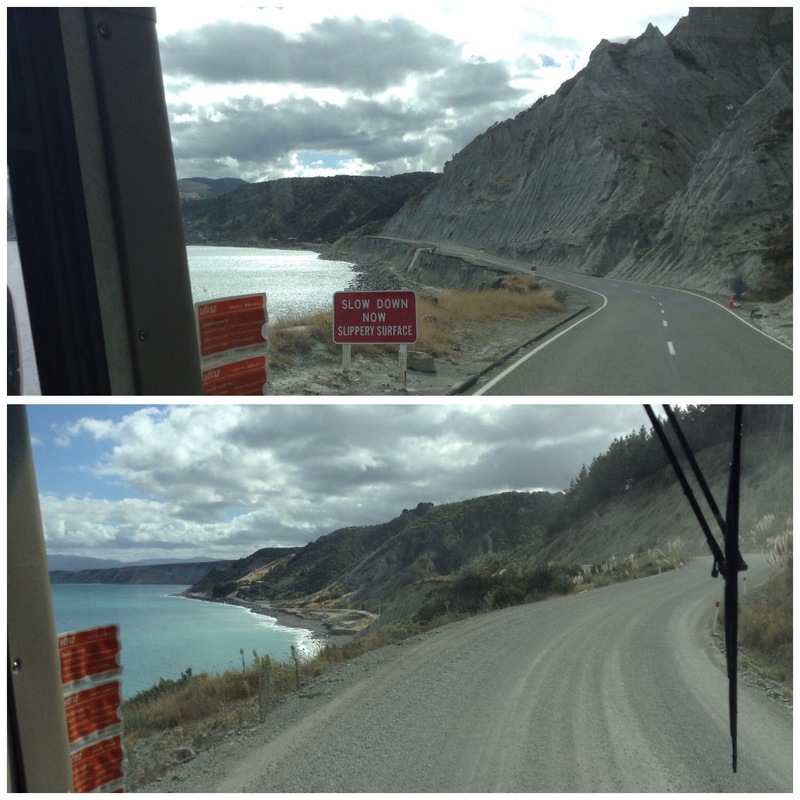 I mentioned earlier that the road into Ngawi is interesting, the following photos are taken on our way out. 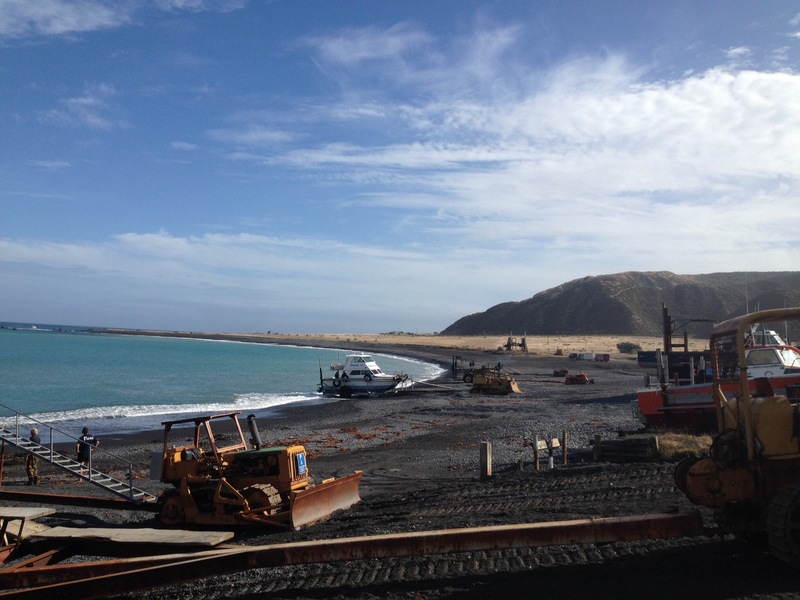 The road winds its way around the coastline, with one lane having been washed away in places. On the flat along the sea. Apparently the road is frequently under water when high seas are present, our host Julie told us that sometimes she has to wait for a gap in the waves to make her dash through to get home!